FCA’s 2016 Product Preview kicks off today! Small business isn’t so small anymore. According to the Small Business Association, 54 percent of all U.S. sales are made by small businesses. And small-business owners provide 55 percent of the jobs to today’s working Americans, adding eight million new jobs to the workforce since 1990. Why are these important facts being touted in an auto writer’s blog? 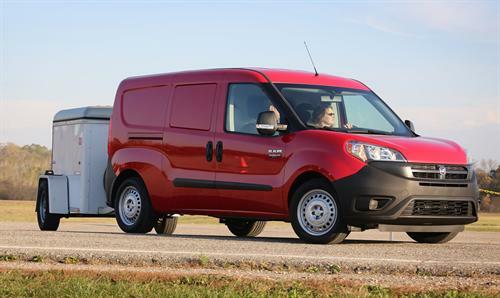 Because small-business owners need hard-working vehicles to drive their businesses. Owning a commercial vehicle (or a small commercial fleet) is about more than simply transportation and the possibility of a tax write-off at year-end. A well-signed, attractive company vehicle is a strong marketing tool that provides the public with a first impression of your business everywhere you go. A well-maintained, reliable fleet ensures your employees reach their destination without unwanted breakdowns. And for those who offer a company car to their employees, it’s a benefit that tends to generate happy, loyal workers. FCA is the seventh-largest automaker in the world. They are a big business that has taken the time to understand the needs of small business and crafted their lineup of vehicles to serve a multitude of needs. From the lineup of industrious Ram vehicles to the rugged Jeep® brand lineup, FCA produces some of the hardest working vehicles on the market. 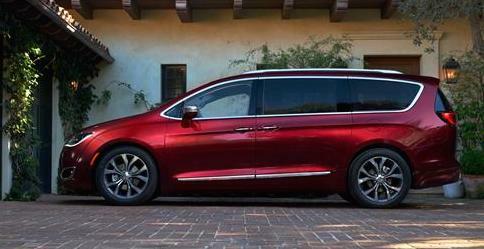 But not to be outdone, the meticulous Chrysler lineup, including the all-new Chrysler Pacifica has a great deal to offer, along with both Dodge and FIAT®. To give commercial customers a better look at some of the best they have to offer, FCA is kicking off their annual 15-city, five-week road tour. To compliment the great vehicles FCA has to offer, Chrysler Capital has a commercial finance department with an equally great lineup of offers. From standard retail contracts to leasing, TRAC leasing options and lines of credit, Chrysler Capital has competitive rates and flexible terms to help your company grow. The 2016 Product Preview kicks off in Boston and Phoenix today, April 26, 2016, and ends in Orlando on June 1, 2016, making stops in cities such as Philadelphia, Minneapolis, Cincinnati and many more along the way. To find out the city nearest you and register for one of the half-day events, visit www.fcaproductpreviews.com.